The companies that make up Soletanche Freyssinet were built from the start on major technical innovations that have since become standard in their respective fields all over the world. 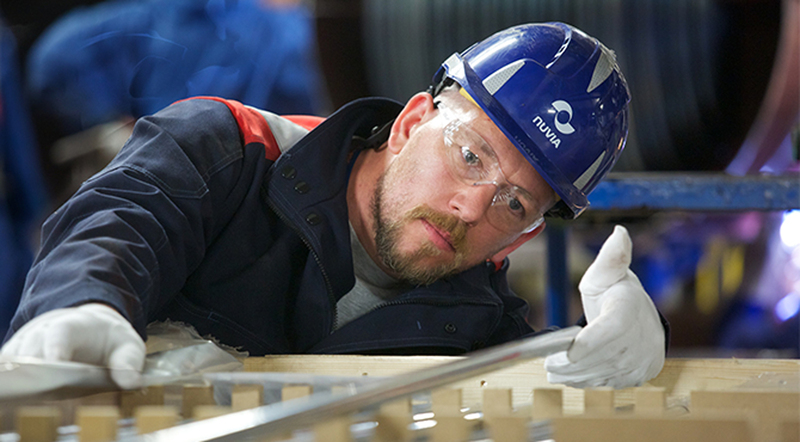 The creative momentum at work in our companies enables us to push the current technical envelope and to meet the increasingly complex requirements of our projects. Whether building in a difficult geotechnical environment or designing novel construction methods, our teams bring together state-of-the-art capabilities in each field. We deliver reliable, competitive and often innovative solutions for our clients. Since Soletanche Bachy invented the Hydrofraise® in the 1970s, it has become the iconic machine used in special foundation works to drill into hard, deep geological horizons. Its greater drilling depth and power, optimised weight management, better stability in uneven terrain, and enhanced compactness to facilitate transport in containers and work in height-restricted conditions and in urban areas give the Hydrofraise® steadily increasing precision, reliability, agility and performance. Building on their confidence in their technological expertise, the Group's experts took the equipment to a new level to meet expected client requirements in increasingly complex projects. 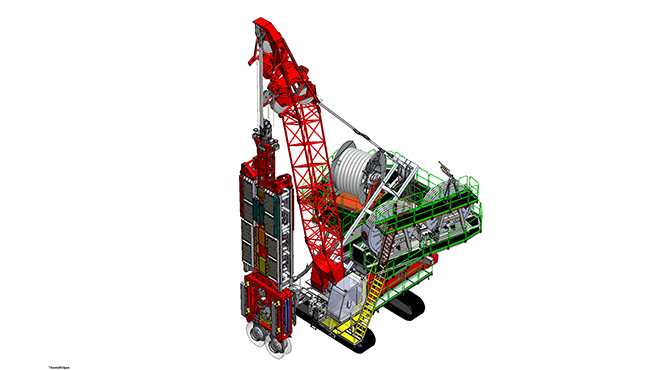 In 2016, the Hydrofraise® with grippers was launched to meet geological and commercial needs. 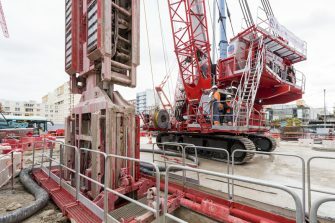 By offering a solution for excavating very hard rock (up to 100 MPa) in the Paris area, Asia and Monaco, Soletanche Bachy in two years put into practice an idea first put forward 20 years ago. The Hydrofraise® with grippers won the Trophée des TP (public works trophy) in France in the "equipment processes" category on 23 February 2017. With Digital Site, Sixense has developed a collaborative tablet or smartphone based tool that supports 3D and hence the use of BIM (Building Information Modeling) in the field. This has brought about a profound change in worksite monitoring, from design to Full Completion Guarentee. 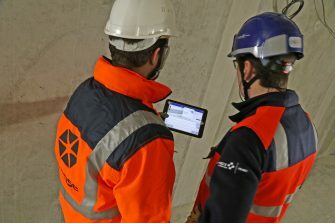 By going beyond the known borders of the BIM experience, Digital Site enables works teams and QHSE personnel to carry out quality control, Full Completion Guarantee items and Defect tracking and monitoring by directly working on the model contained in their tablet. Participants can notify defects more easily and often earlier, in the design stage or even during factory quality controls. They can anticipate nonconformities and set up dynamic planning to boost productivity. By avoiding double data input and using the documentary management system to ensure traceability of activities and manage the document life cycle, Digital Site generates substantial reliability gains. All participants have access to the same level of information, which is centrally collected in a single tool, virtually in real time. In early 2018, a new-generation gamma imager will be made available to round out the solutions and services range of NUVIATech Instruments, a Nuvia brand. 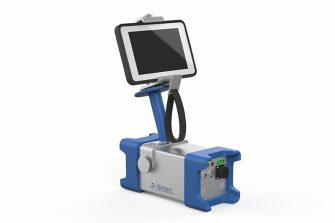 The hand-held spectrometric gamma camera is light-weight and compact. It produces an image in real time and is used to observe moving sources of radiation or to detect sources while moving. It is therefore an invaluable tool for radiation progection and rapid response teams. NuVISION was developed by a partnership between the Leti Institute of the French Alternative Energies and Atomic Energy Commission (CEA) and Nuvia. 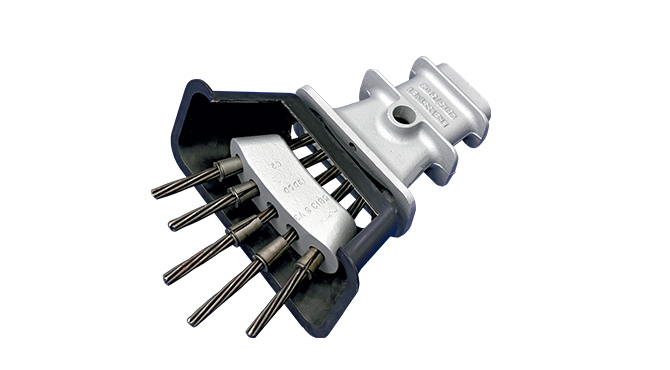 Specially designed to operate in nuclear power plants and nuclear fuel cycle facilities, NuVISION is IP65 (international sealing standard) certified and decontaminable. The revolutionary device can be used to locate hot spots and instantly identify radionuclides. Manuel Peltier, Chairman and Chief Executive, Soletanche Freyssinet : It is hard to tell exactly where the digital revolution will take us, but we know it will be disruptive for the entire construction sector. Soletanche Freyssinet opted to actively participate in the revolution and to design some of its own digital tools with the creation of our sixth brand, Sixense. 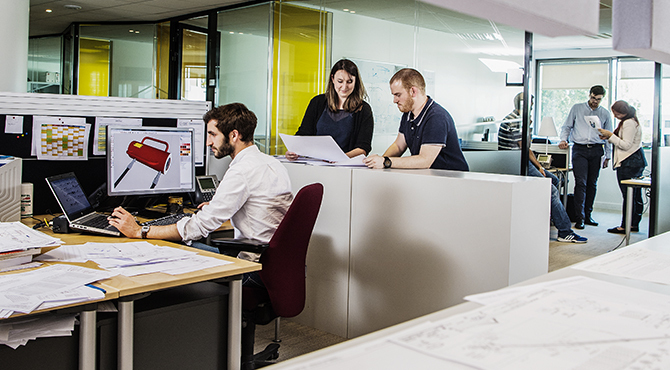 By bringing together teams of engineers, IT experts and specialists from our business lines, Soletanche Freyssinet acquired a strong digital capability, to create a unique brand offering an entirely new range of engineering services. The goal is to give ourselves a strong base from which we can play a leading role in a market that will probably expand ten-fold in coming years! We have set our sights very high for Sixense - it will cover infrastructure monitoring throughout the life cycle as well as site - specific fully digital solutions and services. 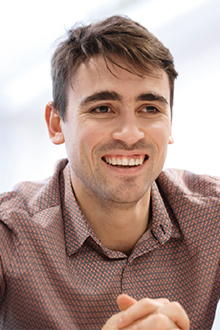 Yohann Rabot : Sixense Mapping, the Sixense company specialising in 2D-3D mapping, has an expanding range of digitisation services and solutions. When we digitise structures, we can better track what is happening to them throughout their life cycle to support maintenance and control risk. In 2016, we finalised the as-built survey of the SEA HSL. This meant digitising data collected on more than 350km of track and more than 5,500 hectares by means of laser detection and ranging (Lidar) and photogrammetric soundings. Is data management in conjunction with the excellence of our business expertise going to be a focus of Soletanche Freyssinet in coming years? Manuel Peltier : It certainly is. Our expertise in soils and structures is unique. We are able to collect data, we have the equipment to process it and we have the technical knowledge to analyse it. Investing in software engineering is one of our strategic goals. To do this, the Soletanche Bachy and Menard technical departments are structuring their big data activities with a dual purpose in mind - to boost operational excellence and to deliver new services for our clients. The new generation of smart drilling tools is able to assess the terrain and adapt according to the types of soils encountered. Yohann Rabot : In the design stage, we can already predict the behaviour of the structures according to the type of materials chosen, their use and their durability. The solutions offered by Sixense support the digital revolution in predictive maintenance, monitoring and inspection. The new technologies enable us to access previously inaccessible locations and to offer resolution on the order of a tenth of a millimetre. 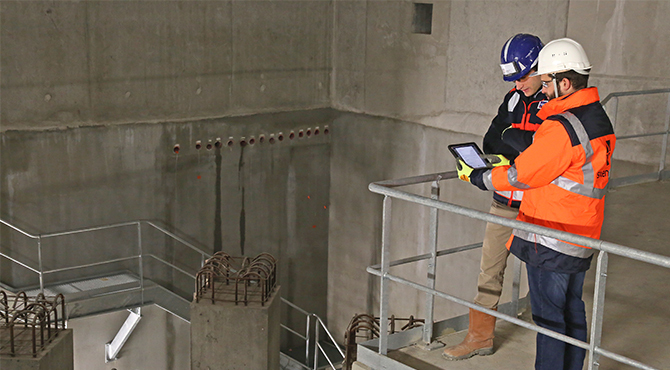 The power of digital technologies, the reinforcement of our structural maintenance engineering capabilities and our ability to work on the entire project life cycle are already transforming the way we work. This is indeed all about BIM (Building Information Modeling)! And Sixense now incorporates BIM in most of its tools. Manuel Peltier : BIM is now becoming standard for all structures to be built and renovated. In France, all the Soletanche Freyssinet entities have adopted the three-dimensional approach and many major projects around the world are now using BIM. With BIM, all project participants share the same detailed 3D overview of the structure to be built, including the production process and maintenance. These new tools make it possible to build structures that would have been unthinkable just a decade ago.